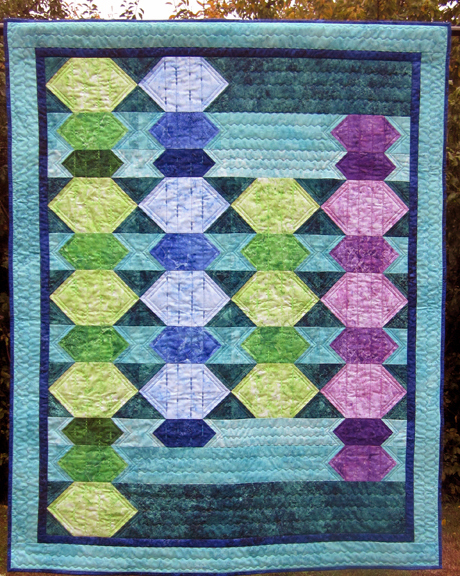 This is the last quilt I made for International Quilt Market using Northcott's Stonehenge Gradation Brights fabrics. The pattern for this one will be available in early 2016. I longarm quilted the other quilts for Market (see my previous post here) but for this one I wanted to use some decorative machine stitches for the quilting. 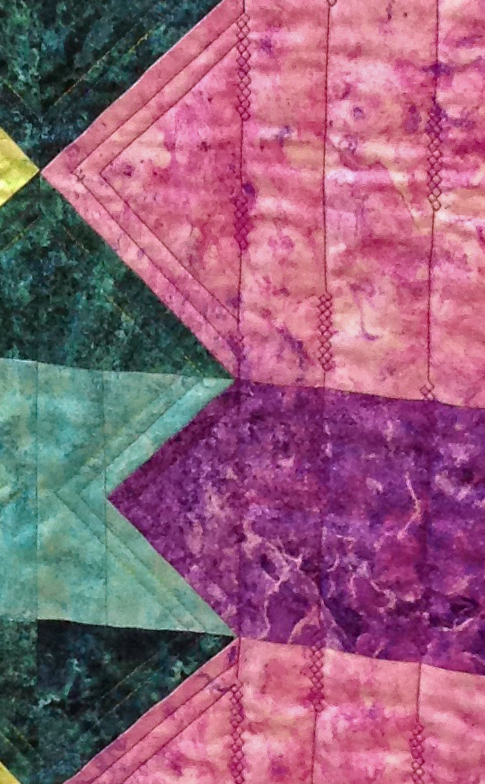 Here's a closeup of one area of the quilt. Machine Quilting with Decorative Stitches is one of the workshops I teach. See examples from this workshop here. If you would like me to teach this workshop (or others) for your guild or shop, see details on my website.